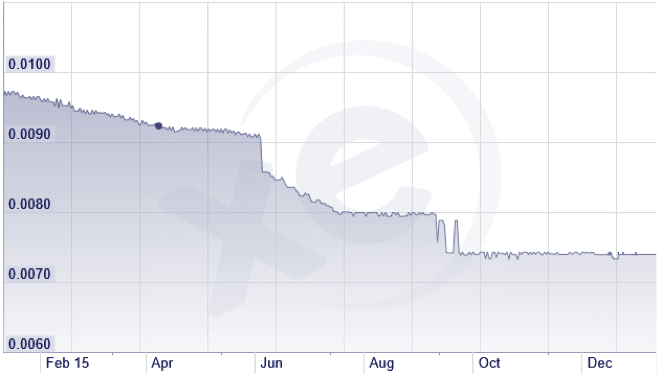 Yesterday, the South African Rand lost 10% of its value. The South African economy is viewed as unstable due to its domestic politics (the President changed the Minister of Finance twice within a week) as well as its dependence on exports to China. The reality of a slowing and over-leveraged Chinese economy is shaking up emerging markets at the same time that oil prices are plunging and the US dollar gains ground. As developed markets experience an unprecedented downward start for a new year, with major indexes in both the US and the EU down more than 8 percent, a residual confusion is emerging as to what has gone wrong so quickly and in such an abrupt manner. Explanations may abound (from slowing growth and the Chinese currency, to lower earnings, to the effects of energy prices, etc.). However, the reality is that human sentiment converts the projections arena into a universe of unpredictability, especially when leverage mechanisms are at play. 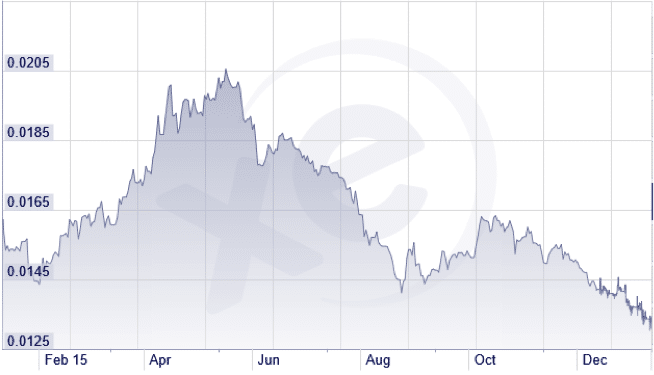 The graphs below portray some emerging countries currencies against the US dollar and show their significant losses over the course of the last twelve months (click images for larger icons). Countries like Angola and Zambia depend on China for to consume their oil and copper exports. 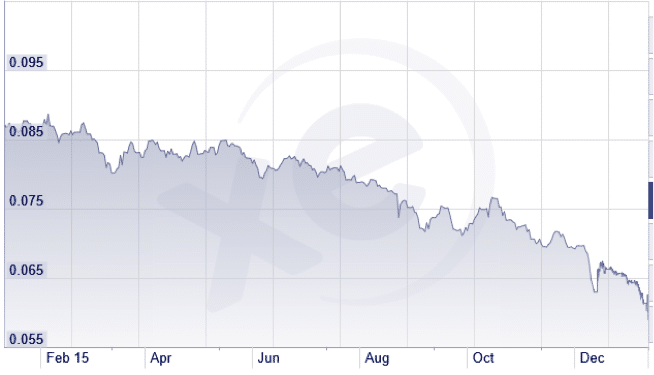 As China slows down, exporting countries suffer, and their incomes and currencies follow a downward trajectory (since September 2010 we are calling China a Great Wall of Steroids, http://blacksummitfg.com/wp-content/uploads/2011/01/The-Great-Wall-of-Steroids-Vol-2-Issue-3.pdf). However, the slowdown in China is one of the reasons for the finite unpredictability of the markets’ sentiment. Oil prices are crossing assumed support levels not just because of abundant supply issues but also because of geopolitical reasons where Saudi Arabia (whose depends on oil for 90% of their income) desires to see its enemies and their friends (Iran, Russia) squeezed. On top of this, the Saudis are forced to sell shares from their sovereign wealth fund in order to close a growing budget deficit. Those sales exacerbate a negative market sentiment. The combination of the reasons mentioned above regarding oil prices, along with market sentiment, has resulted in oil prices losing almost 50% of their value in the last six months, as the figure below shows. Is this slide overdone? Could we have a global recession based in China and due to low oil prices? Over the last few weeks we have posted commentaries and a newsletter outlying the fundamental reasons for which we believe that the market will experience a limited upswing this year. Those fundamentals have not changed. What can we do then as the market turmoil remains? Some hedging may be warranted as sentiment, stop-loss orders, and fear may trigger further selling and thus create additional downward pressure even if that may be unwarranted. Additional downward pressure may be unwarranted because the US correlation with the Chinese markets is very limited, as the graph below shows. 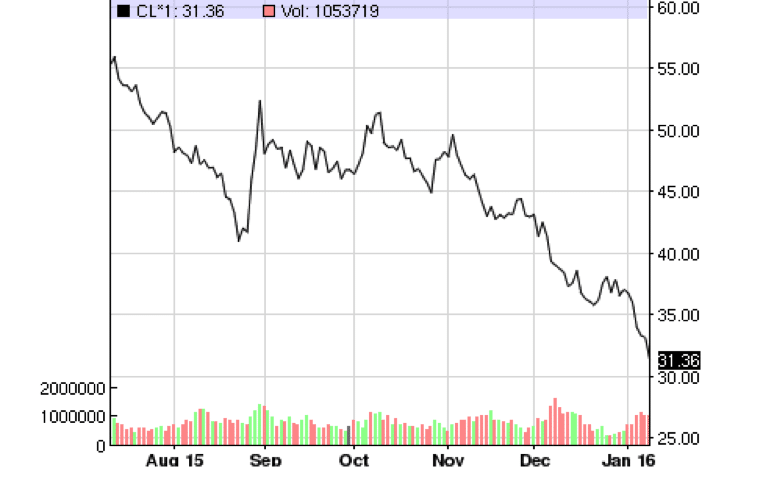 We can all understand that the lower oil prices can have negative consequences in the high yield market. As sentiment deteriorates, sale orders and thus price pressures are exacerbated and high yield rates increase, which makes refinancing difficult. As tremors in high yield increase, sale pressures (and the subsequent margin calls) create market residuals and whole areas of the market may get mispriced (which by definition will create buying opportunities). • First, credit and lending conditions are stable and consumer spending will probably increase the demand for loans which will be met by the abundant banking reserves. • Second, we could see a recession due to high oil prices (just recall the 1970s or the mid 2000s) but not due to low oil prices. • Third, the era of banking dependence on petrodollars is over. • Fourth, as consumers’ confidence remains upbeat, capital expenditures will experience a facelift as well. 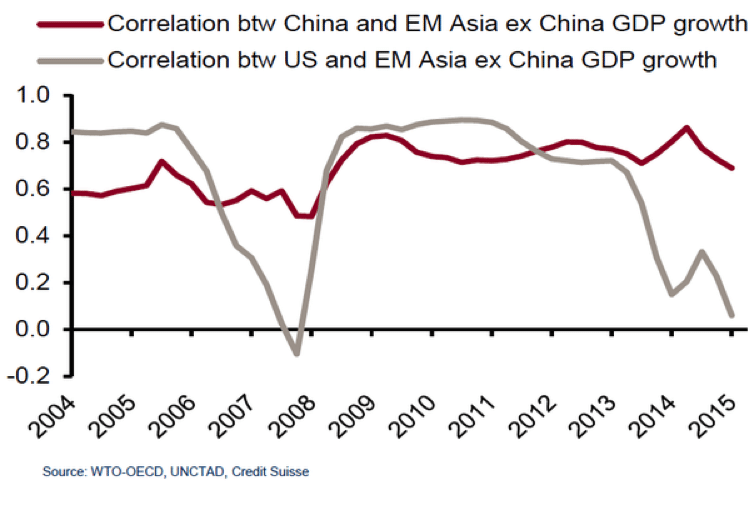 • Fifth, the low correlation between US and Chinese growth will sink in and the US markets can lead the divergence between developed markets and the Chinese one. 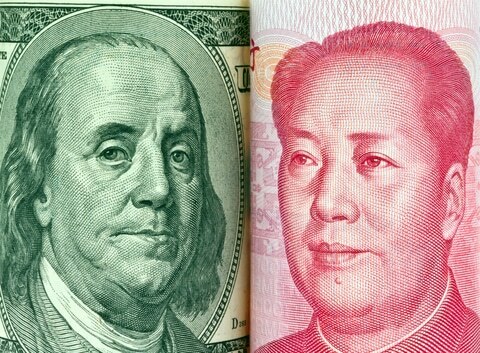 • Sixth, given the room of maneuvering that Chinese central authorities have, we still doubt that the Chinese will experience a hard landing (even if we believe that the Renminbi’s slide will continue as we noted months ago) despite the expanding discrepancy between onshore and offshore Renminbi prices. The earth still orbits the sun and the dusk is followed by the dawn. Any obfuscation and distortion that affirms the market inefficiencies will become a stepping stone to the reality that unpredictability is finite.